Handel is a brightly coloured rose with dark stems and glossy dark green foliage. 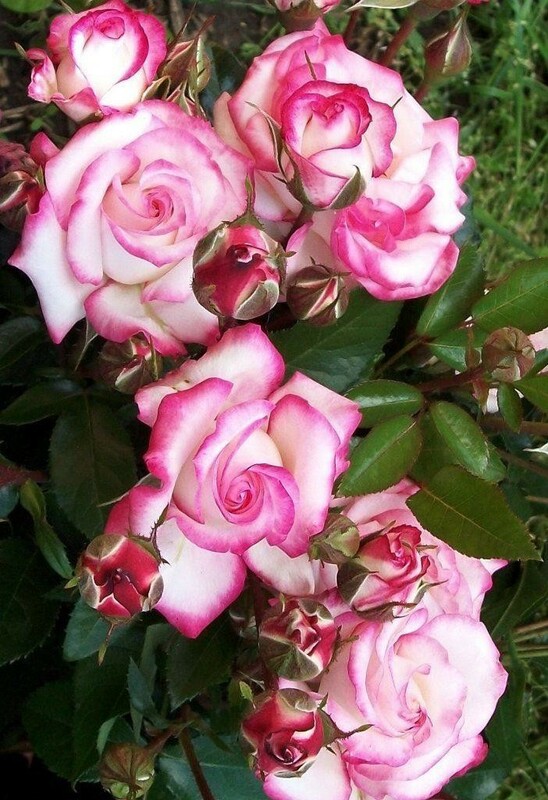 It carries large semi-double flowers, silvery-white in colour with bright pink and red markings on the petal edges. Highly Scented, this is a climbing rose that really stands out that you can not possibly miss if planted in the garden. Very vigorous in growth this well fragranced Climbing Rose will not dissapoint trained over a pergola, arch way, around a door or over a wall. Strong plants supplied in approx 5 litre containers.